The sliding point where cameraphones and point-and-shoot cameras seems to keep moving towards the latter. 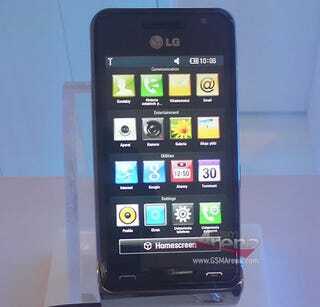 The latest hybrid is the 720p, 12-megapixel LG GC990 Louvre, which, at least from the back, actually looks like a camera. We can get nervous about the potential quality of such high-res photos and video coming from such a small sensor all we want, but on paper, the GC990 does well: the camera shoots through a Schneider-Kreuznach lens, gets lighting help from a Xenon flash module, and shoots up to ISO 3200, though I can't imagine the noise levels being anywhere near tolerable.